We have found that this tractor could have been made by Britains in England. It does not have any markings other than the name of the vehicle on the tractor. It has 4 wheels with rubber type tyres, metal type base and a orange plastic body. The steering wheel actually turns the front wheels - how great is that!!!!!!!!!!! We have done our research once again for this item as we did not know what it was exactly. We have found that this is a metal farm implement and believe it to be a Vicon Towed Vari-Spreader farm machine, and it has been made by Britains in England. It has two wheels with rubber type tyres, metal base and a red plastic tub. 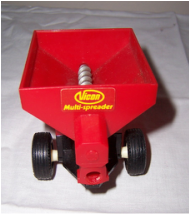 We have found that this is a small metal farm implement and believe it to be a Vicon Vari-Spreader farm machine, and it has been made by Britains in England. It has two wheels with rubber type tyres, metal base and a yellow plastic tub.
. it may be missing a yellow handle at the front. We have an assortment of Matchbox Lesney Made in England 1978 parts which appear to be from a Matchbox Motorcity set and an assortment of plastic tracks with train tracks painted in them along with other items. 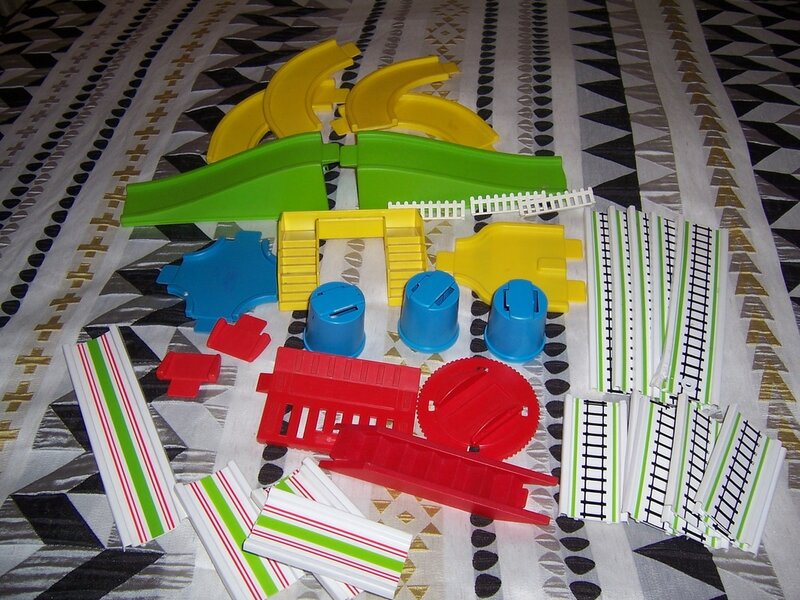 .2 red plastic items which may be from a train set and not marked but will include them anyway. These items are extremely hard to find and are over 30 years old.